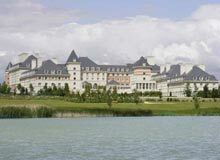 The hotel enjoys an enviable prestigious location at Disneyland Paris affording guests easy access to the wonderful world of Disneyland Paris. Paris city centre is just a 35minute train ride away. 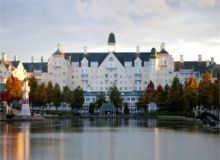 Located at the Disneyland Paris Resort, just an eight-minute shuttle bus ride away from the parks. This family-friendly hotel is uniquely themed around the adventures of the legendary explorer, Sir Archibald De Bacle. Discover the wonder of New Mexico with its scorching sun, cactus and timeless landscapes, right here at Disney's Hotel Santa Fe! Big on atmosphere, low on rates, it's the perfect place to fiesta and siesta after a fun day out at Disney Parks. 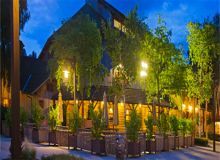 If you love the great outdoors you'll feel right at home at Disney's Sequoia Lodge. Surrounded by lush pines and at the edge of Lake Disney. There are plenty of ways to unwind here, whether it's walks by the lake, a leisurely swim or workout, dinner and drinks or, for younger explorers, a mini-adventure in the pool or play area. Disney's Davy Crockett Ranch surrounded by a lovely forest. Here kids will be able to participate in extracurricular activities with outdoor play areas and is ideally located within a 15 minute drive from Disney resorts. It also contains a tavern serving food and drink. 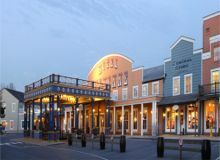 Disney’s Hotel Cheyenne is an ideal stay for families with children containing children play areas and embracing a Wild West theme allowing for lots of family fun. 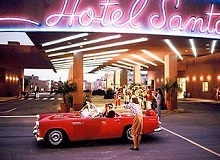 Its also within a short 20 minute walking distance or a few minutes by free shuttle from the resort parks. 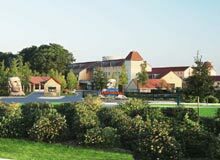 Just 7 km from Disneyland Paris and very near the Asterix Park and Val d´Europe train station, the Best Western Hôtel Grand Parc combines an excellent location with high quality services.